[December 17, 2009] Debbie Ramlow has more than just the practical skills of a respiratory therapist. She's also patient, dedicated and helpful. Ramlow, who has been a registered respiratory therapist at Abraham Lincoln Memorial Hospital for more than 27 years, was named Employee of the Month for December. "Debbie is the most dedicated employee ever at ALMH. She always takes on new responsibilities without one complaint," says co-worker Sharon Koester. "Someone (on staff) will always recognize her for going beyond her responsibilities. 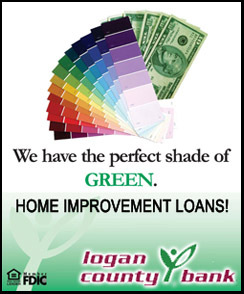 She is very patient and will always lend a helping hand without someone asking her to." Ramlow has an associate degree in applied sciences and is a graduate of Memorial Medical Center School of Respiratory Therapy. 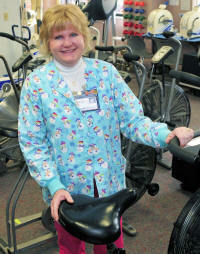 She takes care of patients in the EKG/RT departments and in cardiac rehabilitation. She says she loves that the health field is always changing and that ALMH is a great place to work. "I really enjoy my patients and the job I do here at ALMH," says Ramlow. "I really like the people I work with and the personal attention we give to our patients." And they appreciate her, too, Koester says. "Patients think she is the greatest. She is truly what makes ALMH a great place to work." ALMH employs 290 in a variety of roles. Each month someone is honored as Employee of the Month.